The coupé evolution. 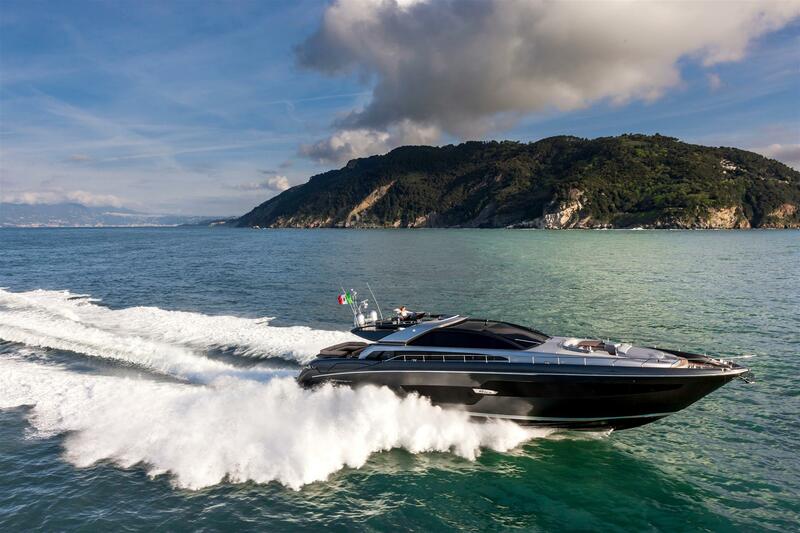 It’s called Super, as it’s amazing, and because this suffix is well-known as the mark of evolution within the Riva brand. 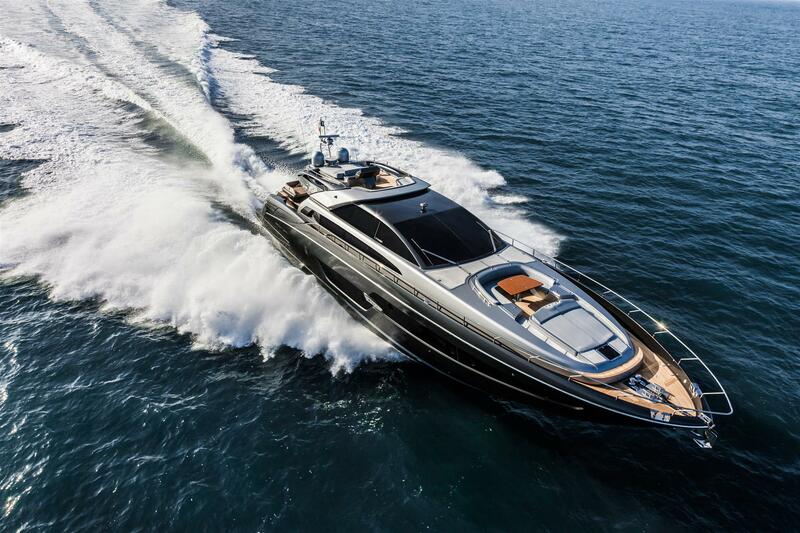 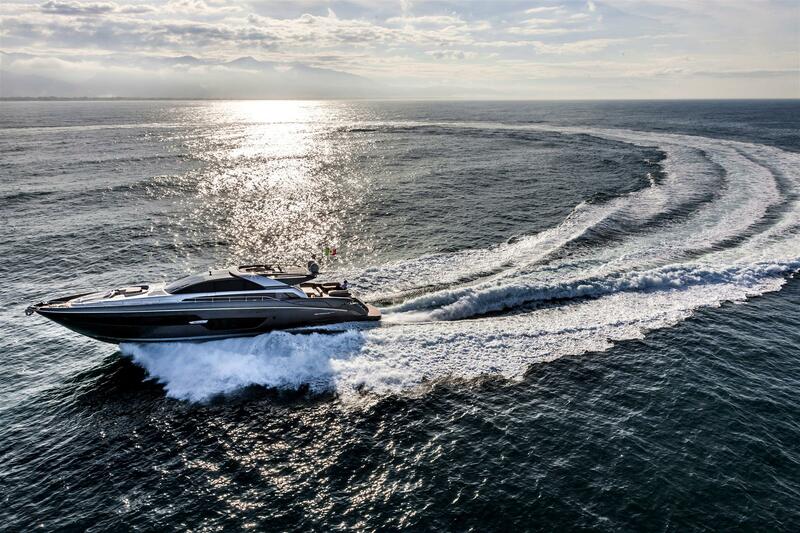 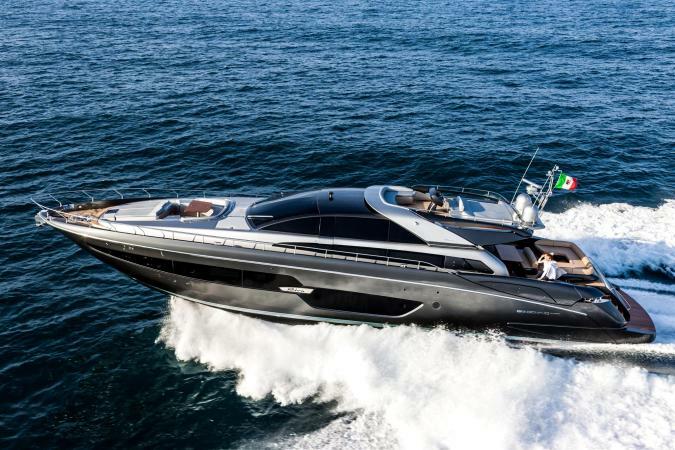 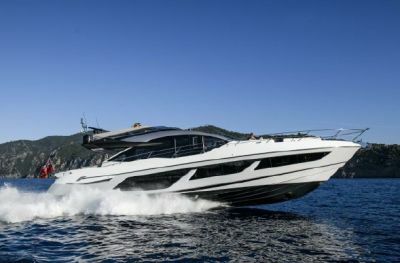 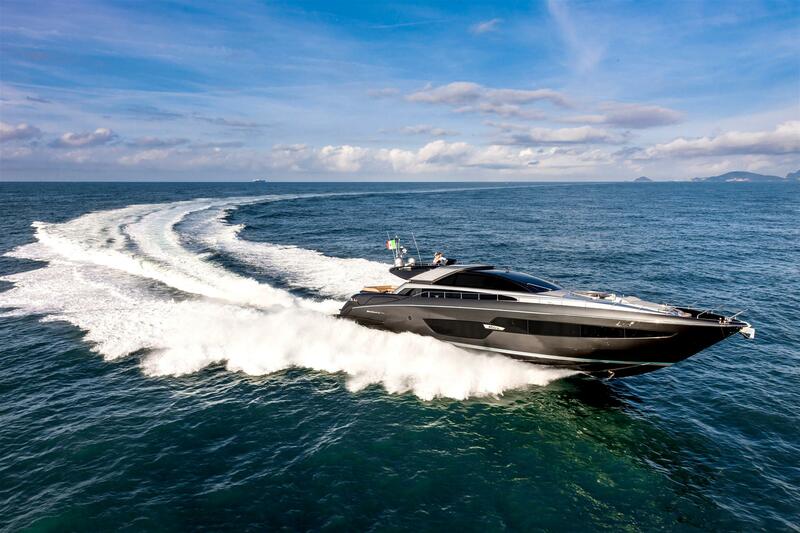 88’ Domino Super, aimed to set new standards in the industry in terms of style, comfort and performance, will have its début in Monte Carlo, before being worldwide reveald to the public in September at the Cannes Yachting Festival. 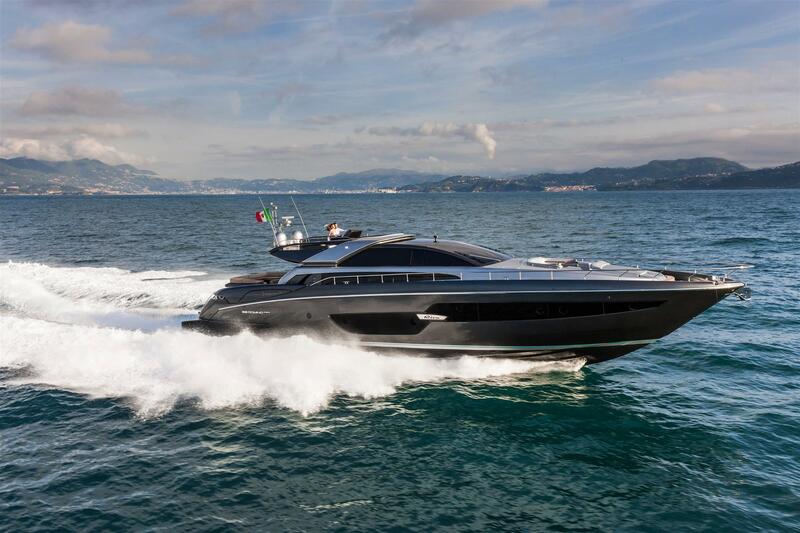 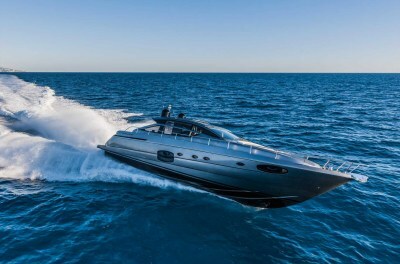 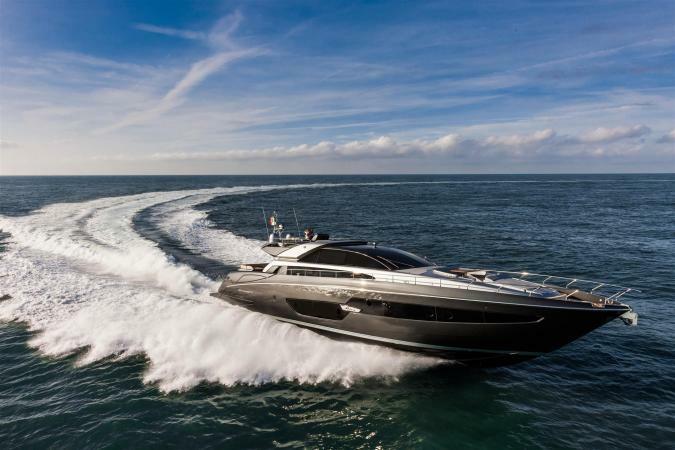 With an overall length of 26.70 metres (87.7’) and a maximum beam of 6.30 metres (20.8’), its racy and aerodynamic profile wins you over from first glance, enhanced by the shade of the hull, the dark “London Grey” contrasting with the light “Moon Grey” of the superstructure. Added to this are other important style choices: the new sun deck adds to the sportiness of the yacht, offering increased comfort to guests; the single large window on the hull is characterized by a bold design; and the revamped stern completes the dynamic feel of the yacht. 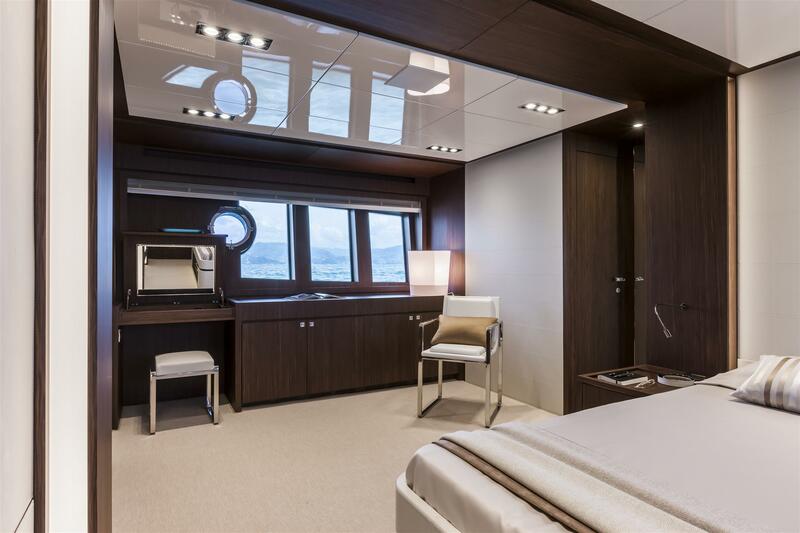 The swimming platform on the stern, which can be moved and submerged, is a convenient spot to get into the water and back on board, as well as making the launch and towing of the tender very easy. The cockpit is like an outdoor living room, with a large C-shaped sofa/chaise longue, beyond which a sofa faces the dining table. 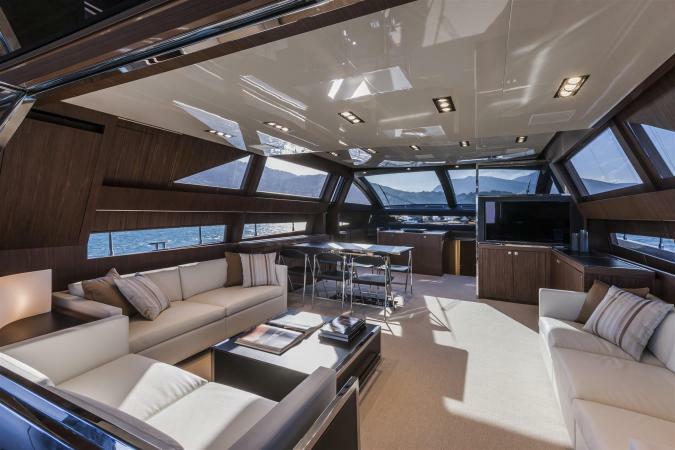 Beyond the glass you come to the interior, organized into the living and dining areas and bridge. 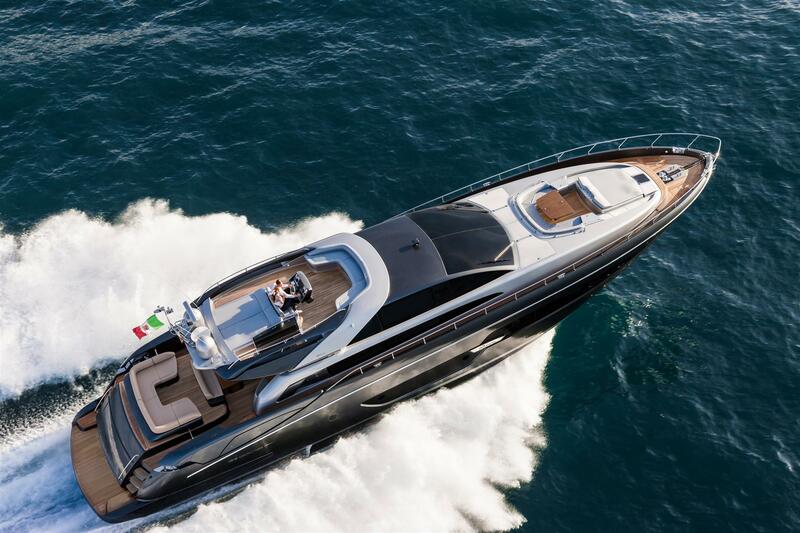 The lounge is an open space with an unrivalled view of the sea; a perfect example of the unmistakable style of Riva. 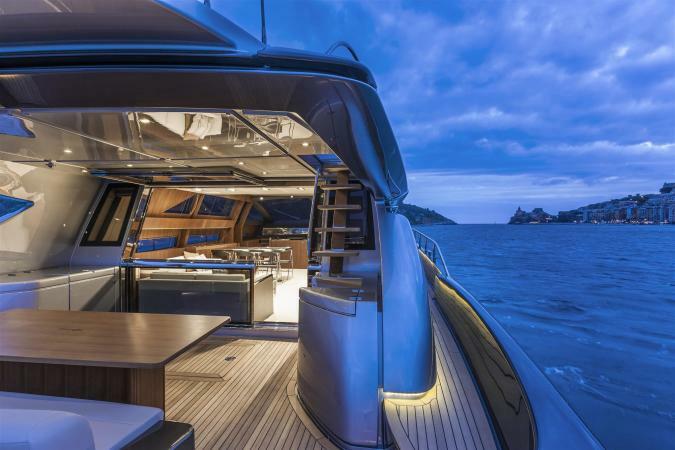 The shift of the helm station to thestarboard side has enabled storage to be installed, separating the two sets of stairs which lead to the kitchen and below deck. 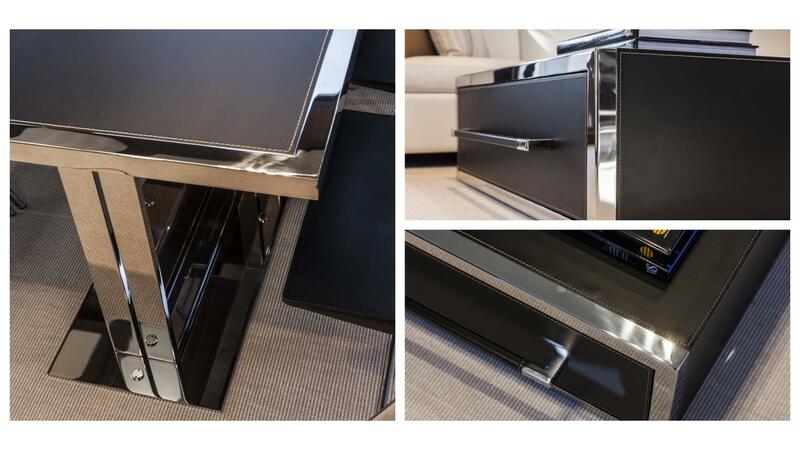 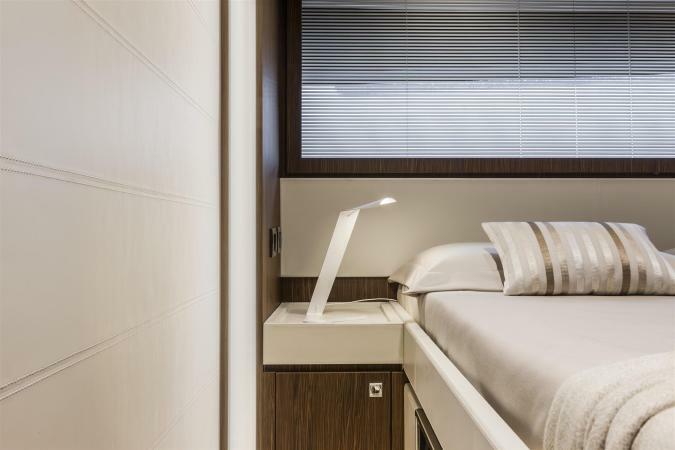 The pilot station, with two seats, is hidden by a full-height wall with TV screen, equipped with an electric mechanism enabling it to be swivelled towards the dining area. 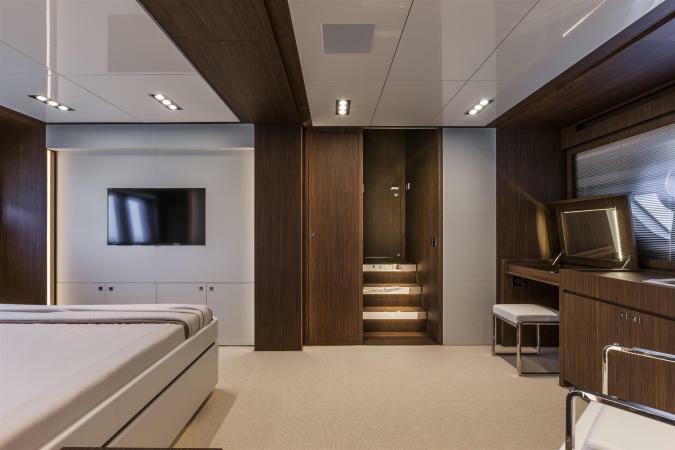 Going down the first flight of stairs leads to the lobby, then to the three guest cabins, while on the starboard side, towards the stern, a door opens to the full beam master suite. 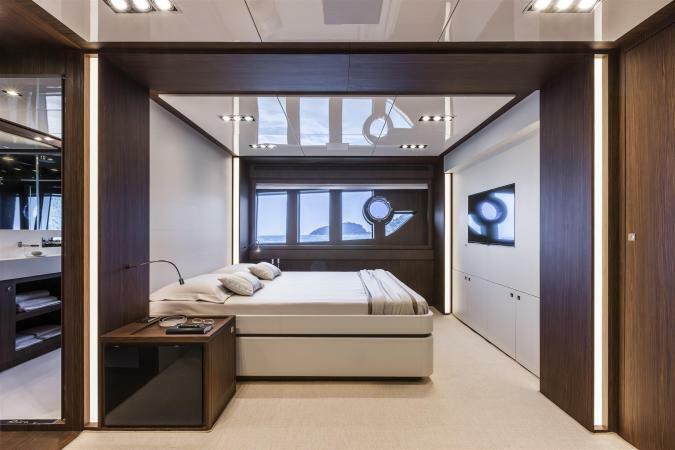 The room is airy and beautifully lit. 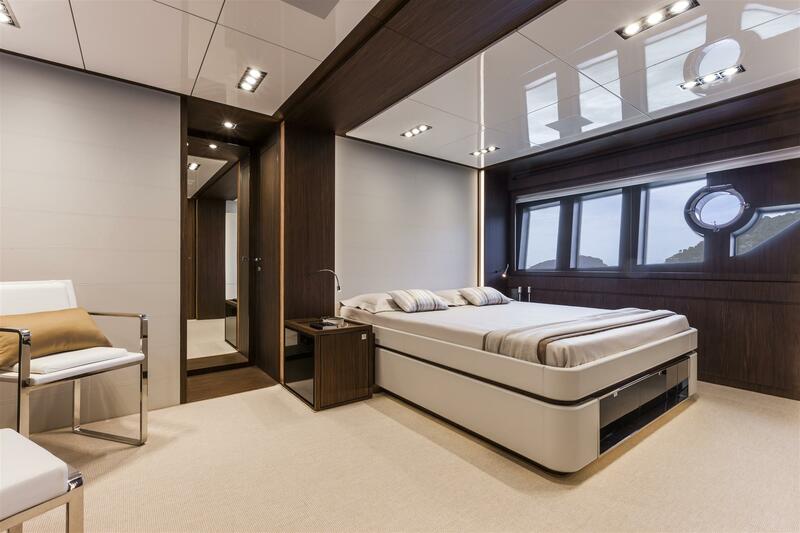 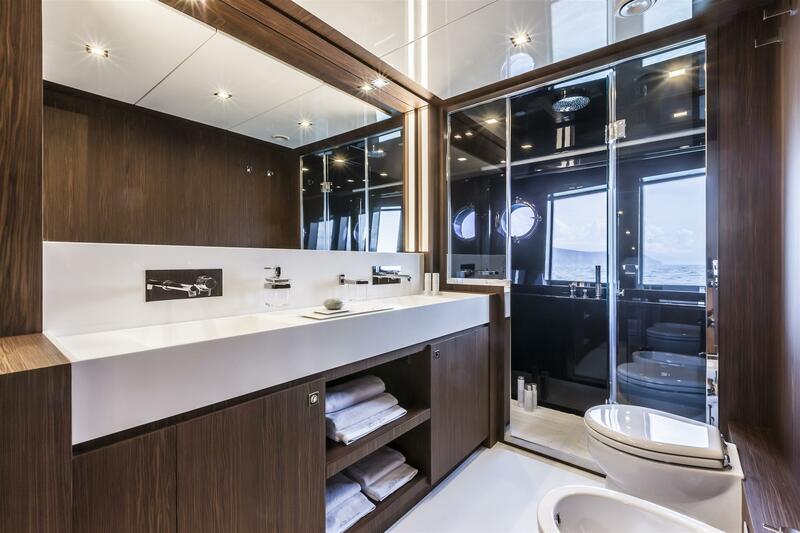 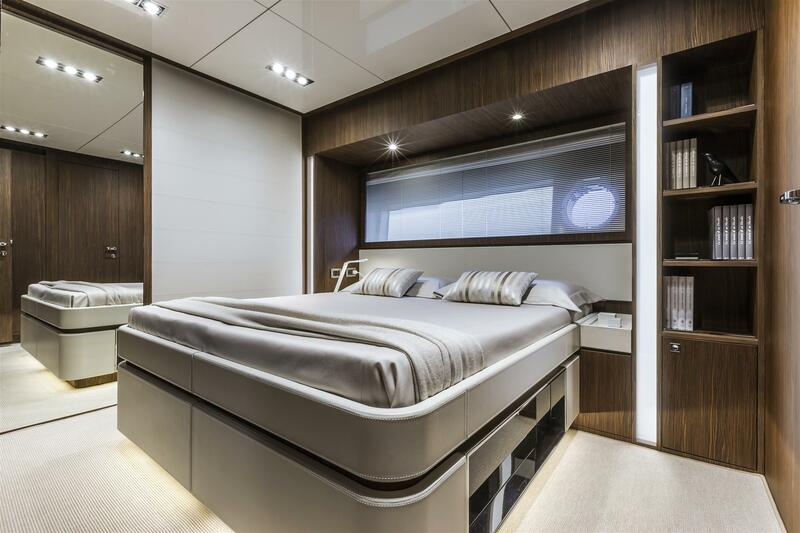 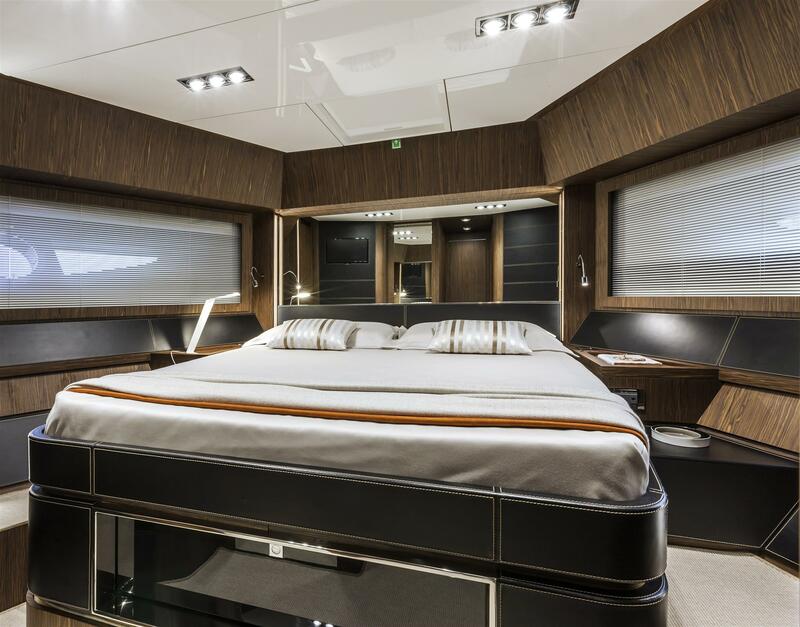 The starboard side is furnished with a low unit including a vanity/desk area, with the optional extra of freestanding units. On the port side is a double berth with TV on the facing wall. The cabin has an en-suite bathroom and spacious walk-in wardrobe. 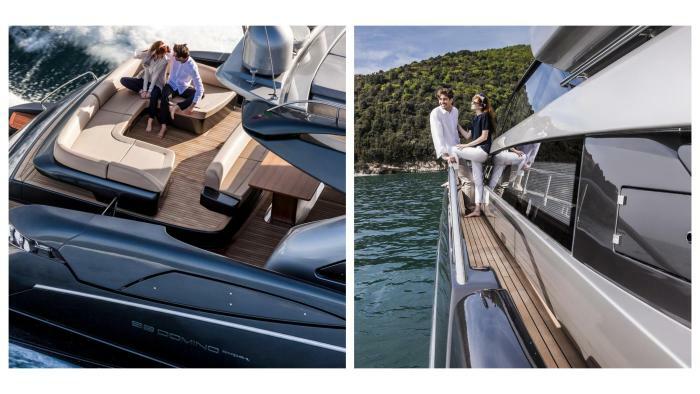 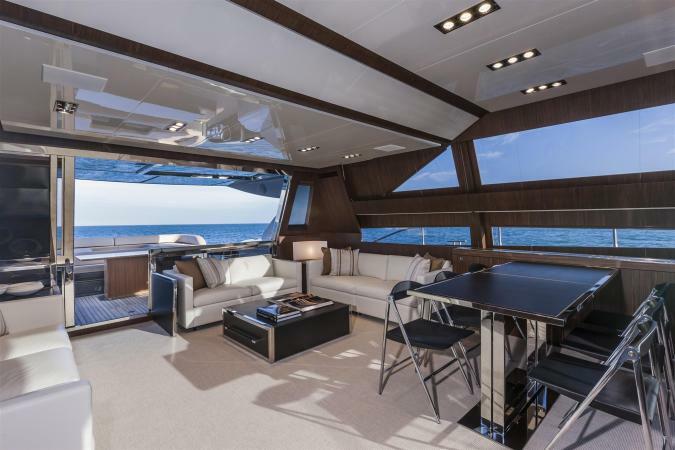 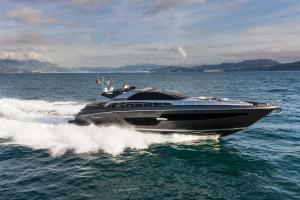 The sporty feel of the 88’ Domino Super is enhanced by the new sun deck. 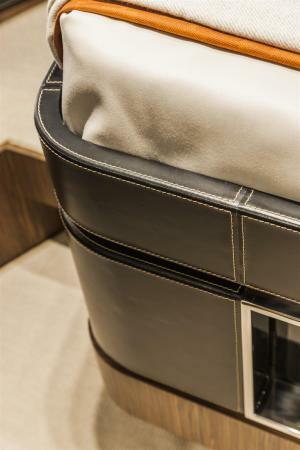 A large C-shaped dinette at the bow faces the external helm station, which is positioned centrally to allow optimum command of the yacht. There are spacious areas for relaxation on the stern. The performance of the new coupé is best in its class. 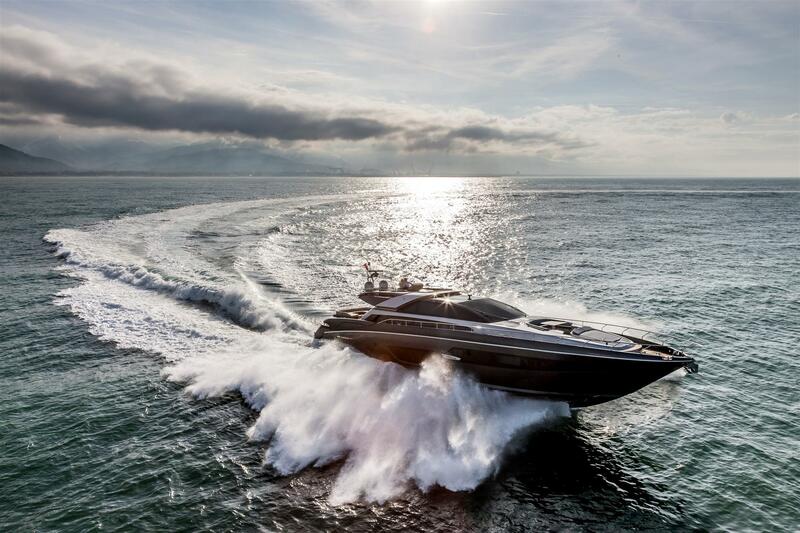 The standard version of the yacht comes fitted with two 2435-Mhp MTU 16V 2000 M93 engines, allowing the yacht to reach a maximum speed of 38 knots and a cruising speed of 34 knots. 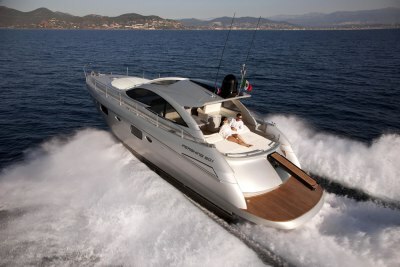 The optional configuration comprises two MTU 16V 2000 M94 engines with a power of up to 2638 Mhp. 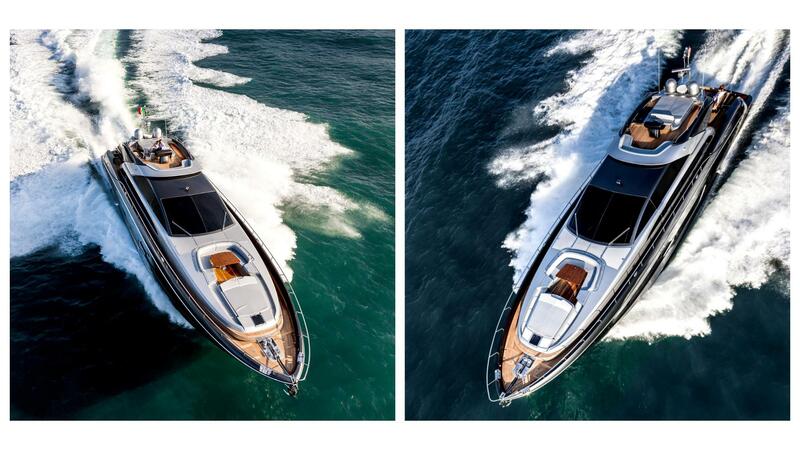 These engines push the yacht up to 40 knots, while the cruising speed touches 35 knots (preliminary data).